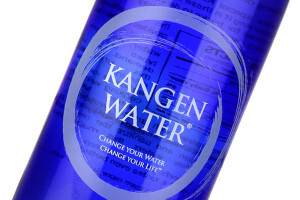 Kangen Water is so much more than just drinking water. When you begin cooking with Kangen Water in the kitchen, it becomes the secret ingredient improving the quality and taste of your food. Have you been looking for a secret ingredient to spruce up your favorite recipes? What if I told you that you can make your meals taste even more delicious than they already do? You can turn comfort food into succulent entrees fit for a king with just one little switch! The secret ingredient? Water from Enagic®’s Kangen Water® Machines, of course! Believe it or not, the water you use to clean, prepare, and cook your food makes a huge difference in the final product. All top-rated chefs understand the vital importance of making sure every single ingredient is as fresh and high-quality as possible – including the most basic ingredient of them all: water. With an Enagic® machine, you can generate water that adds tremendous benefits and flavor to your cooking. It’s as simple as pushing a button! Give your family and guests a pure, healthy, and refreshing choice of beverage for their meal! Enagic®’s product line of water ionizers generates 5 different types of water, each with a different pH level. These waters can all play a role in preparing a delicious meal and keeping your kitchen clean and sanitized. Strong Kangen Water® is a strong emulsifier, and has dissolving and heat conducting benefits. It can help with food preparation, cleaning, and even washing dishes without the use of harmful chemicals. This slightly alkaline water is perfect for drinkin and cooking. Kangen Water® draws out the fragrance and flavor of your food, and makes a particularly delicious broth! 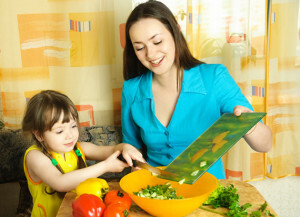 Neutral Water is clean drinking water that is safe for preparing homemade baby food. This slightly acidic water is terrific for keeping frozen food full of flavor! Strong Acidic Water can sanitize and remove bacteria from your food. Simply soak all your fresh ingredients before or after you’ve chopped them. You can also use Strong Acidic Water to sanitize kitchen utensils and countertops to keep areas safe and clean. The possibilities are limited only by your imagination. With one machine, you can produce five different types of water for your culinary purposes, and promote better-tasting water and food in your kitchen. Choose Enagic® for your kitchen – and prepare for rave reviews! Go to www.PortlandKangenWater.com to learn more.